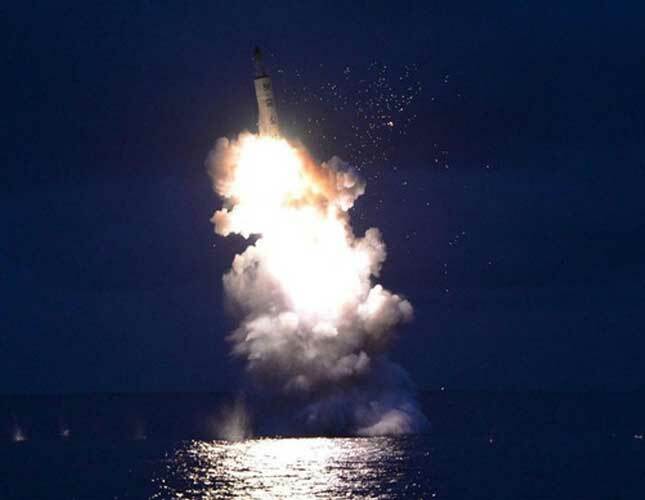 North Korea fired three ballistic missiles into the sea off its east coast on Monday, said South Korea, as the leaders of the Group of 20 major economies held a summit in China, the North’s main diplomatically. The missiles were fired from a western region south of the capital Pyongyang, just after noon local time (0300 GMT), South Korea’s Office of the Joint Chiefs of Staff said in a statement. The missile launches were the latest in a series of launches by the isolated North this year in violation of UN Security Council resolutions. The South’s military was trying to determine the type of missiles launched, a military official said. No other details were immediately available. The missiles were launched from a region called Hwangju and came just hours after the leaders of South Korea and China met on the sidelines of the Group of 20 leaders’ meeting in Hangzhou, China. South Korean President Park Geun-hye told Chinese President Xi Jinping that the North’s fourth nuclear test and its ballistic missile launches this year threatened regional peace and posed a challenge to South Korea’s ties with China, Yonhap news agency reported earlier. During the meeting, Xi reaffirmed China’s commitment to realizing the denuclearization of the Korean peninsula, China’s state news agency Xinhua reported on Monday. Xi also told Park that Beijing opposed the proposed deployment of a THAAD anti-missile system in South Korea, which Seoul and the United States have said is designed to counter an increasing threat from North Korea.